In the world of landscape architects, Frederick Law Olmsted is best known for his first major project, New York City’s Central Park. But one must know Olmsted’s interests and accomplishments before Central Park to grasp a full understanding of the man. Born the son of a prosperous Connecticut merchant in 1822, Olmsted received a smattering of schooling, less than one term at the university level, but more than most men of his day. Pampered by an indulging father, Olmsted spent most of his formative years meandering from one interest to another. 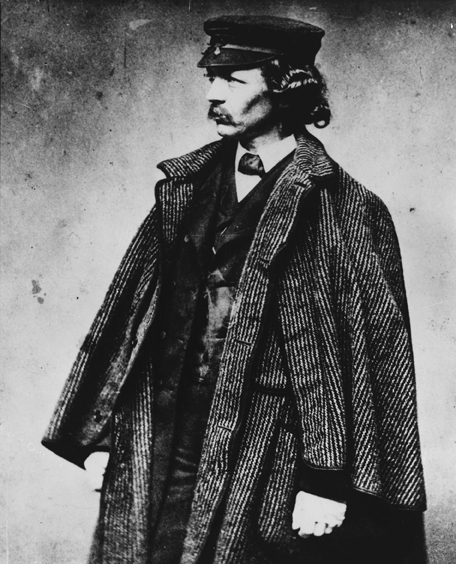 At 21, Olmsted attempted to find some direction in life by going to sea. His service on a ship bound for China taught him that he was not cut out for a seafaring life. Service was hard. Officers took the best food and treated crewmen little better than slaves. Then, of course, came the seasickness. Olmsted returned home in 1844, not hale and hearty as he might have hoped when he left New York Harbor, but an ill skeleton of his former self. The experience led him in later years to advocate for a professional merchant marine, where officers and crew were bound by rules and regulations rather than by cruel captains meting out harsh punishment to the dregs of society. No surprise, Olmsted’s interest shifted from the sea to land. He apprenticed with family friends who owned a Connecticut farm. He pursued an active social life and attended numerous lectures as an informal means of continuing his education. He tried Yale, but left before the end of the term. He returned to farming, and wanted to work on a model farm where he could enhance his scientific approach to farming. In a New York editorial office, he met and impressed Andrew Jackson Downing, the preeminent authority on gardening and domestic architecture. With Downing’s reference in hand, Olmsted landed an apprenticeship at George Geddes’s New York farm, Fairmont. Olmsted stayed at Fairmont only six months, but with lessons learned from his service, he persuaded his father to purchase a 70-acre farm, Sachem’s Head, on Staten Island. The island was home to a number of prominent families, including the Vanderbilts. While he brought the farm up to snuff, Olmsted had difficulty remaining still. In 1850, he traveled to England with his brother John and their friend, Charles Loring Brace. While there, he saw the first public parks he had ever seen, parks open to everyone. No such parks had been set aside in America’s cities. He was smitten by the idea that large open spaces should be open to everyone, not just the wealthy. After his travel, Olmsted directed his attention to writing, primarily about farming. His writing included a compilation of his travel journal, molded into Walks and Talks of an American Farmer in England in 1852. Although he considered slavery evil, Olmsted had little tolerance for abolitionists. He wanted to take a different tact, one analyzing slavery purely from an economic viewpoint. In December 1852, he set out to interview slaves and slave owners for a series of New York Daily-Times (now the Times) articles. He came to the conclusion that the slave economy benefited neither master nor slave. Slaves were kept in a perpetual state of ignorance and had no incentive to improve their performance. Free Northern laborers were two to four times as productive as slaves in comparable tasks. In the few cases where slaves received some form of reward for productivity, the slaves worked harder. Thus, apart from the immorality of the practice, the “peculiar institution” was economically inferior to free labor. Olmsted’s observations converted him to the cause of abolition. Not all went well for Olmsted. He joined a publishing venture, Putnam Magazine, with literary colleagues. 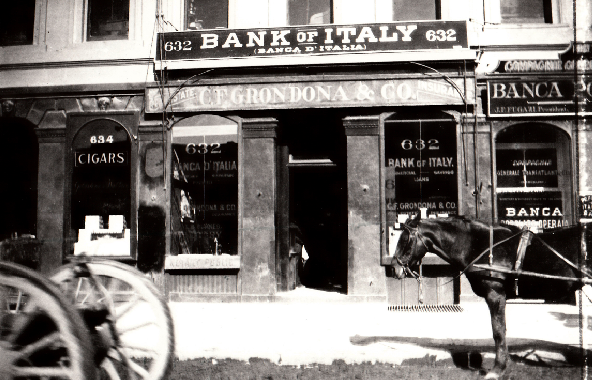 While the magazine received widespread literary acclaim, it failed as a financial venture. After that failure he was not sure where his life was headed. In August 1857, Olmsted traveled to Morris Cove, Connecticut, to work on a book. While at tea one day, he sat next to a member of New York’s new Central Park commission. Life would never be the same. Roper, Laura Wood, Biography of Frederick Law Olmsted, Johns Hopkins University Press (Baltimore: 1973). 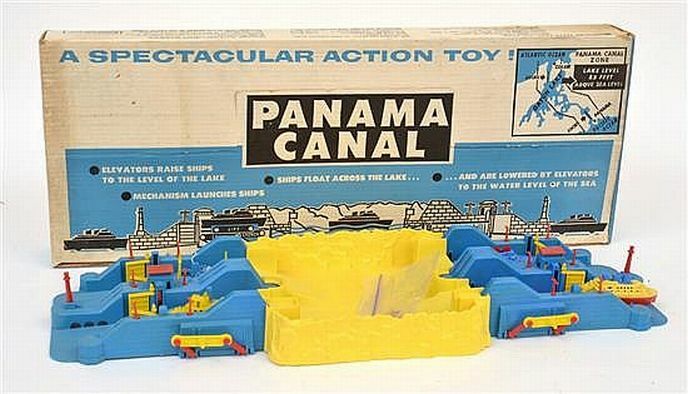 When I was five years old, I inherited a plastic Panama Canal play-set. I could not have been happier. 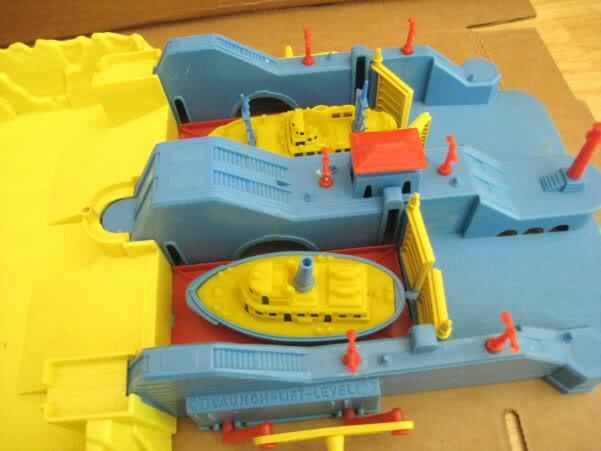 But the toy contained a crack – in the wall of the literally man-made lake – through which little toy ships had to be floated between the two sets of elevators. The crack required me to constantly refill the lake. On one summer weekday morning, I filled a glass jar for probably the twelfth time, and, as I carefully poured the water into the plastic lake, I dropped the jar on the concrete sidewalk. Shards of glass went everywhere, of course, but most significantly, one shard lodged in my neck. At the tender age of five, I had survived a near-death experience. None of my five-year-old pals could claim such notoriety. Even better, I retained a tiny scar even after the stitches were removed. That meant that in the never-ending show-and-tell game of battle scars played by young boys, my battle story outshone all the rest. So, what’s the point? The Panama Canal opened for operation on August 15, 1914. That 100-year anniversary reminded me of my childhood encounter with a smaller version of the real thing. The Panama Canal is often cited as one of the engineering wonders of the twentieth century. Much like the 1950’s toy, the real canal is divided into essentially three parts. A series of locks on each end of the canal allows the ship to rise to the level of fresh-water lakes before descending to sea level on the other end. The canal extends approximately 50 miles between the Atlantic and the Pacific. Just like the toy, the locks are built in pairs to accommodate two-way traffic. Many of the newer freight carriers are too large to pass through the current canal. The larger cargo ships sailing from Asia, which otherwise would transport cargo to the United States East Coast, currently have to drop their cargo at Long Beach, California, where freight trains carry the cargo to its ultimate destination. The Panama Canal is nearing completion of an expansion project that will double the canal’s capacity and thereby allow those cargo ships to bypass West Coast ports. The Canal will have to further expand its capacity, however, because shipbuilding companies continue to build even larger ships. Happy (belated) 100th birthday to the man-made wonder that has captivated my attention from 5 years old until now at the ripe old age of…well we’ll leave it at ripe old age! Official Website for the Panama Canal Expansion, http://micanaldepanama.com/expansion.